It’s a vicious cycle: If you suffer from lower back pain, it can make it tough for you to get a good night’s sleep. And if you regularly sleep in what we call a bad “sleep position,” it can make your low back pain even worse. In fact, sleeping in a bad position may actually be one of the underlying causes of your back pain in the first place. 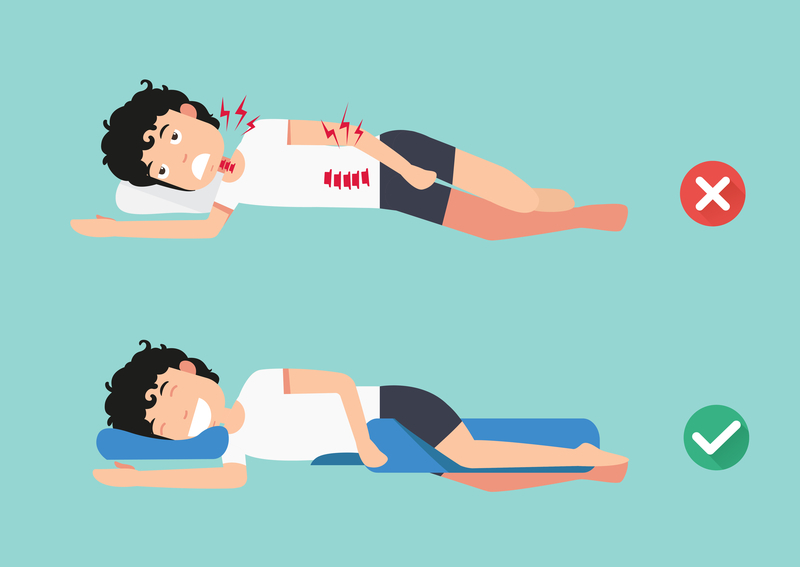 I’ll walk you through some of the best sleep positions for people who suffer from lower back pain. I’ve included the best sleeping positions for back sleepers, side sleepers and stomach sleepers. So no matter your natural tendencies, I’ve got a sleep position that will work for you. Good sleep is a foundation of living a healthy, active life. So get ready to fall asleep, stay asleep, and wake up feeling renewed and refreshed. 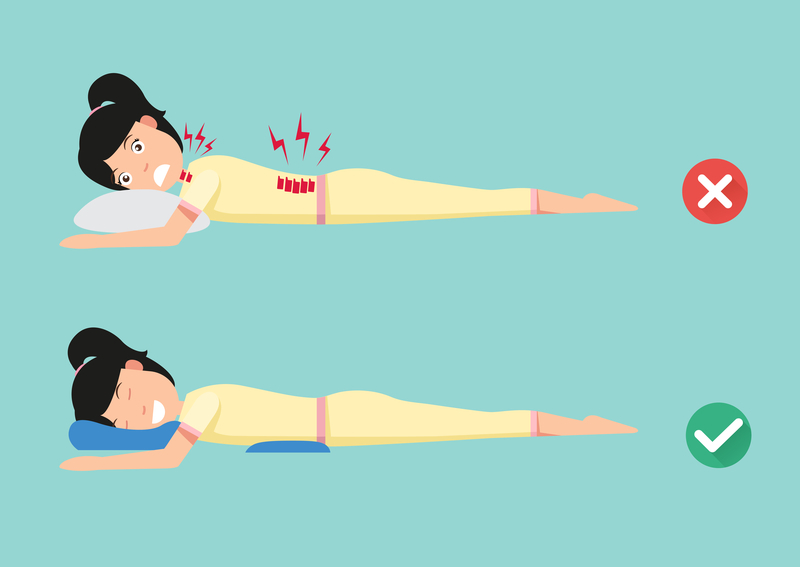 If you’re a natural back sleeper, you should know that it’s the best position for back pain relief. When you sleep on your back, your weight is evenly distributed, there is proper alignment of your head, neck and spine, and pressure points are minimized. For more benefit, place a small pillow or rolled up towel under your knees to help maintain the natural curve of your spine. 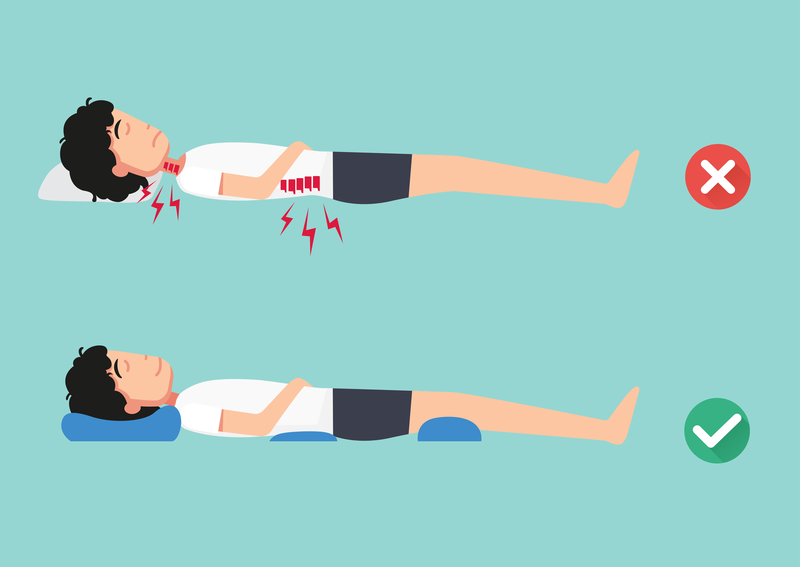 Sleeping in a reclined position isn’t right for everyone, but it’s beneficial for people whose back pain is the result isthmic spondylolisthesis, a condition in which one of your vertebrae slips over the vertebra below it. Reclined sleeping puts y our body at an angle that helps reduce the pressure on your spine. Consider investing in an adjustable bed to find the best position for you. Side sleepers run the risk of pulling their spine out of position, which can lead to low back pain. Fortunately, you can avoid this by placing a pillow between your knees. This will help bring your hips, pelvis and spine back into alignment. Many people who sleep in this position prefer to use a body pillow between the knees. This is another great position for side sleepers, especially those who suffer from herniated discs, lumbar osteoarthritis or spinal stenosis. When you sleep in a fetal position — on your side with your knees curled into your chest — is reduces the bending of your spine, opens up the space between your joints and promotes better sleep. Stomach sleeping is not recommended. It can make lower back pain worse. It can cause strain in your back muscles. What’s more, because most stomach sleepers sleep with their head rotated to one side, it can also lead to neck pain and pain between the shoulder blades. That said, I know old habits die hard. If you can’t sleep in any other position, try placing a pillow under your lower abdomen and hips. This will help keep your spine in alignment and help minimize chronic pain in the lumbar area. Choose the best mattress for you: For many years, health care provider recommended firm mattresses for low back pain sufferers. That’s changes, but that doesn’t mean you should opt for an ultra-soft mattress. If your mattress is too soft, you may sink into it, causing twisting of your joints as you sleep. And that can cause pain. If you’re in the market for a new mattress, your best bet is probably a medium-firm mattress, but try a few out (at a mattress store or at friends’ houses) and see what works best for you. There’s no one-size fits all mattress for everyone. It comes down to personal preference. Choose the right pillow: In general, I recommend a thinner pillow for stomach sleepers and back sleepers, and a thicker pillow for side sleepers. This will help maintain good posture throughout the night. Practice good sleep hygiene: Try to get at least 7-8 hours of sleep every night, keep electronics out of the bedroom, and save hard workouts and caffeinated beverages like coffee for the early part of the day. Improving your sleep quality will mean less pain and better overall health. For more pain relief tips and info, visit PainArthritisRelief.com. I also lead Advanced Wellness Systems programs, a system that I developed to help my clients overcome a wide range of pain conditions. To learn more, click right here. Does poor sleep cause knee pain? I have lower back pain mainly on left side the radiates across lower back. I do have arthritis there. It is painful. It hurts to even get dressed or getting out of bed. My feet hurt too. I pray this product and your information is true. I do not want back surgury and to stop taking Diclofenac and Trazodone every day.